As an exhibition of Chalkie Davies’ most iconic pictures opens in North Wales, Getintothis’ Martin Waters explores how it all started for the famous photographer. Like many music photographers, you probably won’t recognise him. You may never have even heard of him and chances are until fairly recently, you won’t have seen much of his work. With the recent relaunch of the free NME and continued re-emergence of some of the bands from that period, they couldn’t be more relevant, and a successful exhibition in Cardiff has been followed by one just down the road in Colwyn Bay, which, for music lovers of a certain generation as well as photographers, really is not to be missed. 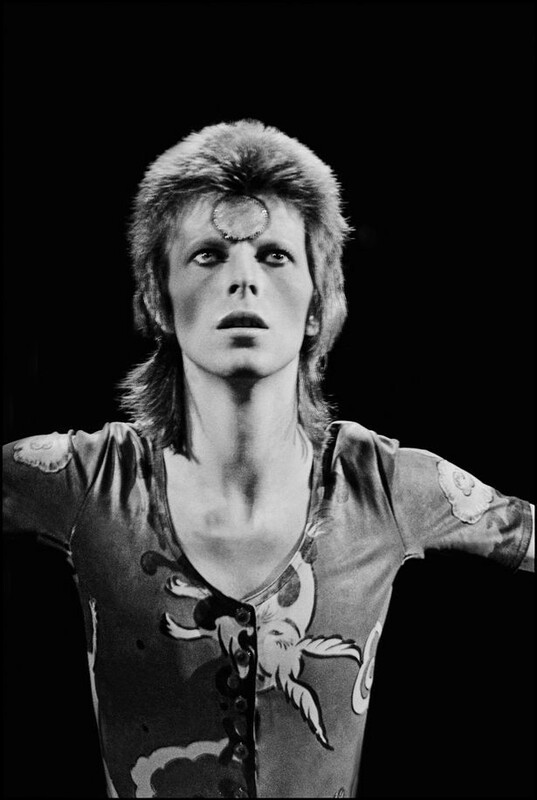 Moving from his native Wales to take up an aircraft engineer apprenticeship at Heathrow Airport, Chalkie was a keen photographer and in 1973 at the age of 18 he managed to shoot the last night of the Ziggy Stardust tour when Bowie killed off his most famous persona. From that point on, music photography was all he wanted to do, and by the age of 20 he was a staffer on the NME after telling them he could massively improve the quality of their current photos. This was when the NME actually meant something, and with a weekly circulation of over 200,000 was the music bible to anyone with even the slightest interest in music. Nothing like the Smash Hits-lite reincarnation of recent times. For four years, from 1975 until 1979, he shot numerous covers and features for the NME and the exhibition brings together a mixture of documentary work and unseen studio portraits, as well as some of his later work for The Face (which he helped set up), Rolling Stone and some of his work for album covers. Aside from what you’d call the more typical band shots, it is always the more relaxed, intimate pictures that stand out. Given the tight grip PRs now have on the ‘talent’ it is hard to imagine a photographer getting that sort of access today. Living with Phil Lynott clearly helped, one of Chalkie’s most famous pictures being Sid Vicious and Nancy Spungen (‘a really sweet couple’ who used to pop round to watch Elvis films) in the bathroom of his Cricklewood home, but as Davies has previously commented ‘it’s a lot easier to photograph your friends’ and the relationships he built up with the musicians owed a lot to his success. 90% of this sort of photography is about access, access that most photographers just don’t get. Even those covering tours know just how far they can push the ‘off duty’ photos before a well paid PR pulls the plug. 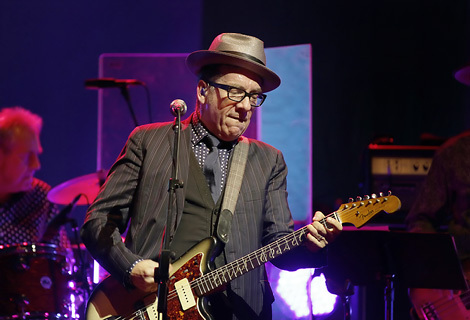 But Chalkie’s success was down to the relationships he built up with the stars, quickly becoming a favourite of the likes of Elvis Costello and The Specials. He put them at ease, often having the camera hidden behind his back and once they were relaxed, pulling it out to take a few shots before returning it to its hiding place. Chalkie threw it all in during the 80s, at least in terms of music photography, heading to the States to start afresh as a commercial photographer. 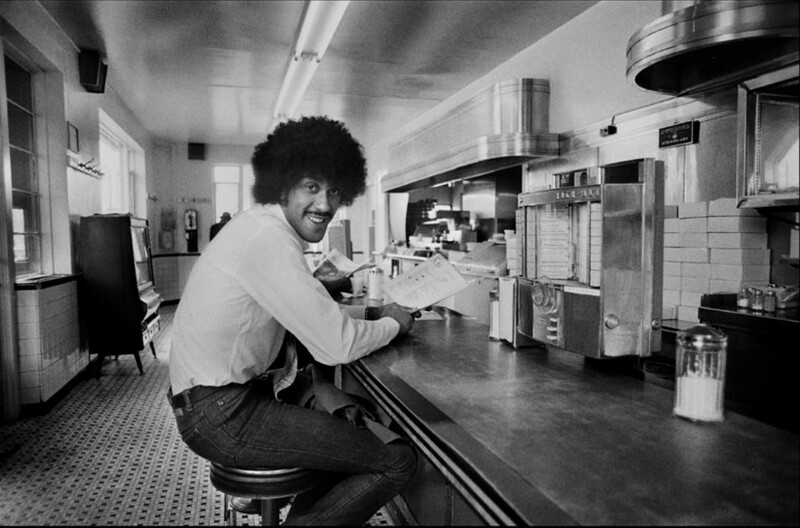 His decision was down to a growing disillusionment with the industry but also due to the death of his close friend Phil Lynott. That’s when his archive of over 43,000 negatives was packed away and the majority of his work withdrawn from circulation. He has spent the last five years cataloguing, selecting and printing his favourites for the exhibition and a recent BBC Wales documentary (shamefully not available on iPlayer at the time of writing) showed the meticulous process he’s gone through to ensure the images he’s chosen are ‘definitive, iconic’. In fact, as Davies tells it, the exhibitions were all part of a long-term plan. By 24 he was ready to retire and started storing away his images, shooting sessions and not showing anyone the result, not even the sitters. He kept them hoping a museum would phone up wanting to display them and 28 years later the National Museum of Wales made the call. Davies now calls it a 28-year piece of performance art. Since leaving music photography behind, Chalkie has made his way in advertising and during the late 90s-early 00s, shot some of the stylish packaging and adverts for Apple. Advertising’s gain was music photography’s loss, but his decision to hide away most of his work until now means it has a vibrancy, relevance and freshness many of today’s contemporaries fail to match. 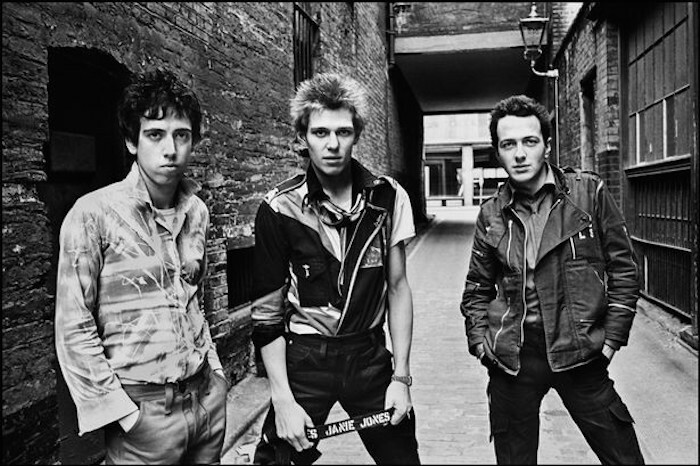 Chalkie is reported to have said that the key to it all, the thing that drove him on was the fact ‘it was the photos that were important, not the guy who took them.’ For anyone with even a slight interest in music photography, Chalkie Davies’ importance cannot be underestimated. “Chalkie Davies ‘Creating the NME Years” is at the Oriel Colwyn until October 31.